The Wick house is a simple old farm house, but I can’t seem to just walk past it without staring at it for half an hour. During the revolutionary war, the continental army used this place as a campground during the coldest winters on record. I usually visit the Wick farm in the winter when it’s easier to imagine the cold and hunger that these soldiers endured. The image above is a painting of the Wick farm in late fall on a cold foggy day. The woods surrounding the farm always give off an eerie vibe as if the presence of the men that served in the war is still there. Thought I’d share an excerpt from a class project called ‘Foraging for Edible Wild Plants in “Government Improved” Natural Areas and Modern Suburbia of North Central New Jersey’. Identifying the Eastern Hemlock wasn’t difficult for me. It is my favorite pine tree that is found in the Mid-Atlantic region of the US, so I know it when I see it. The 1-inch (or smaller) cones and tiny flat needles are a dead give-away. I was excited to spot some hemlocks growing near the well-preserved “Estate Gardens” in Hockey Hollow National Park. I ripped off a few small branches in order to prepare a “stimulating beverage” once I returned from the hike. Many thoughts ran through my mind, such as; “that park ranger definitely saw me collect these samples and it looks like he’s headed my way at a brisk pace to give me a lecture or a citation”. Other thoughts conjured up images of thousands of Washington’s troops dying of starvation and suffering through the bitter cold winters during the late 1700s, right where I stood. I wondered if these soldiers did exactly as I had just done and used the hemlock branches to make tea. This may have been one of the only few sources of food that was available to them during one of the harshest winters on record. There are stories of men eating the bark right off the tree during times of extreme hunger (Martin 1962). The winters were so bad that food supplies could not reach the soldiers. I was looking forward to my Eastern Hemlock Hot Tea. Not to be confused with poison hemlock, which is extremely poisonous to people and animals and is a member of the parsley family (Peterson 1977). Drinking that sort of tea would get me into serious trouble. 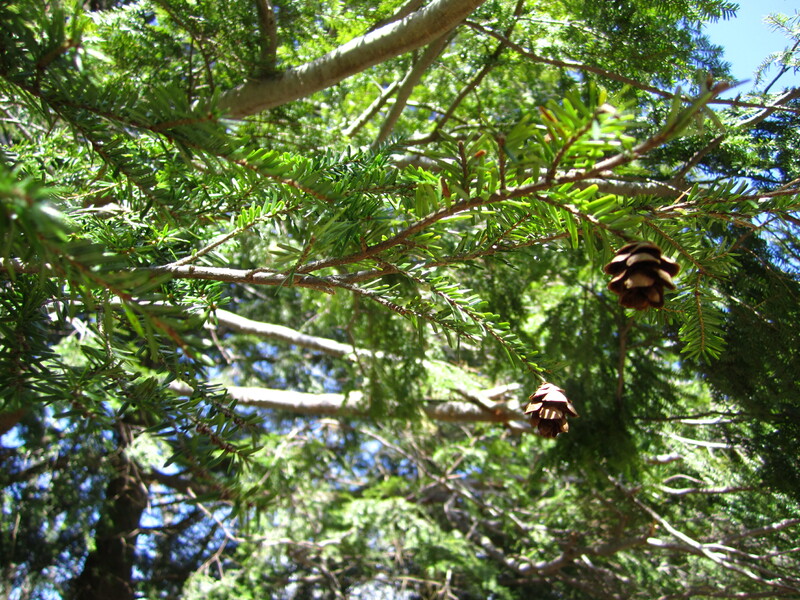 Eastern Hemlock Biology: The Eastern Hemlock is extremely shade tolerant. It can develop with as little as 5% of full sunlight (Ward and Montgomery 2004). They can reach up to 100ft in maturity and can live up to 800 years, but the Eastern Hemlock is extremely vulnerable to drought and wind due to its due to its shallow root system (Brisbin 1970). Eastern Hemlocks are typically found growing in moist to extremely moist soil. This tree does not have any natural defenses against predators that I was able to determine and the bark of the tree is not very strong. However, I admire this tree because it is so majestic and has very different characteristics than other types of pine trees found in this region. It is important to the ecosystem because it provides many other animals (birds, porcupine, etc) with shelter, refuge and food (small birds feed on the Hemlock). Reproduction: “The Hemlock’s seeds open in the fall and their seeds are dispersed throughout the winter” (Holland 2009). I would imagine the dispersal is possible by winter winds and/or animals moving the seeds. Pests: The Woolly Adelgid is a pest from Asia that is currently damaging the Eastern Hemlock by depleting the Hemlock’s starch reserves (Ward and Montgomery 2004). Most of the Eastern US is heavily infested with these pests. The ironic thing is that Western Hemlock and other Hemlocks found in Asia are supposedly resistant to the Woolly Adelgid (Ward and Montgomery 2004). Other Uses: The bark was used for tanning leather and giving it a reddish tone. It was also used for dying wool brown and making pulp (Holland 2009). 1) I began by washing the samples I had collected earlier. There were about 8 small branches, which is sufficient for one serving. I used a strainer to wash the branches. 2) Rubbed the branches together to release some of flavors (not sure if that was useful). 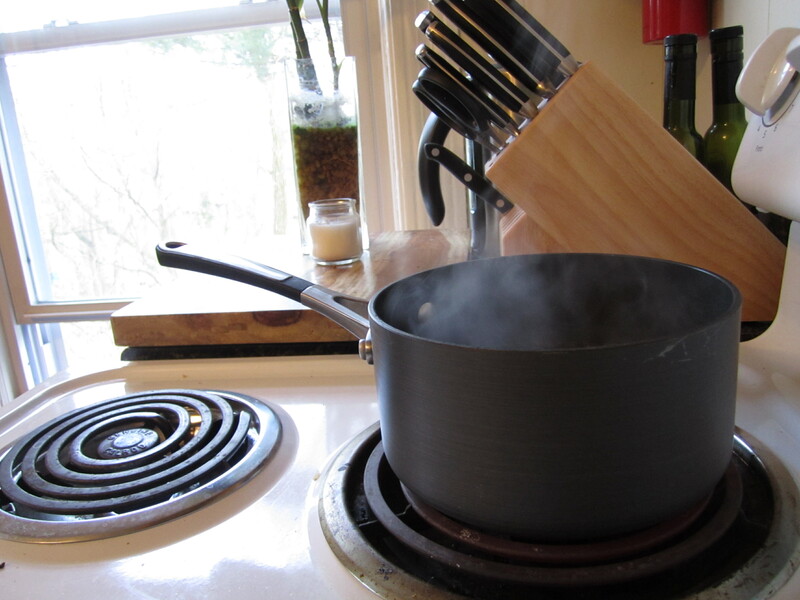 3) Brought approximately 2 cups of water to a boil in a small pot. 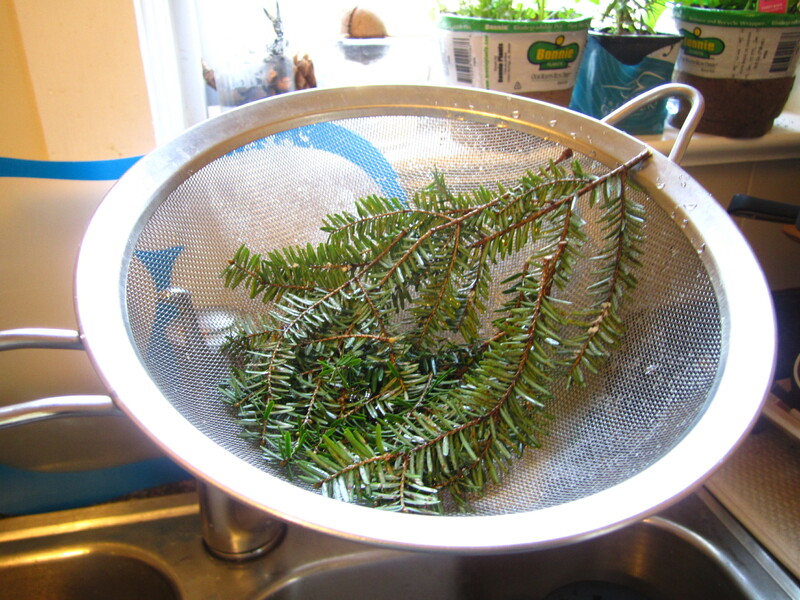 4) Placed the Eastern Hemlock branches in the boiling pot, covered, and let simmer for about 20 – 25 minutes. 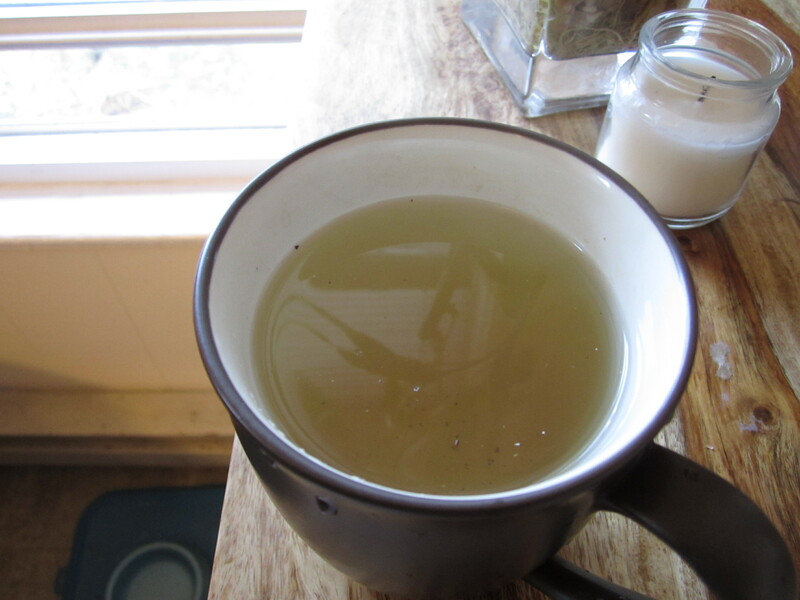 Originally, I had considered adding some honey to the tea if the taste turned out to be worse than I expected. Much to my delight the tea tasted great. It was no better or worse than any of the herbal teas that I have tasted so far. I had expected a turpentine-like taste, but the taste was sweet and rich. Peterson, Lee Allen. Edible Wild Plants of Eastern and Central North America. New York: Houghton Mifflin Company. 1977. Print. Martin, Joseph Plum. Private Yankee Doodle. Chapel Hill, North Carolina: Eastern National. 1962. Print.